Our sturdy arbor construction is second to none. We carefully select all of our materials to ensure these creations will stand the test of time. Click on the image to take a look at just some of the arbors we have created in our portfolio. Our deluxe grill islands and outdoor kitchens will make the neighbors jealous. Take a look at just some of our creations by clicking on the image. Our stone wall construction is second to none. Straight and angular or curved and winding, we can create the perfect design for your home improvement project. Click the image to see our wide array of landscaping projects. Our goal is to create the landscape design to meet or exceed expectations. Landscaping, brick work, wall construction and more can all be incorporated into one build. Click on the image to see our project portfolio. Turning paver blocks into works of art is our specialty. From curved walls, to complex paver pattern in circular shapes, we have the skill to create the perfect project for you. Complex patterns, round designs and steps are our specialties. Click on the image to see our work gallery to help you decide how we can build your dream project. Nor Cal Landscape At nor cal landscape we provide excellent custom landscape construction service to our customers throughout the entire bay area. We have over 20 years of experience in Landscape design and installation. We are dedicated to making our client happy and and strive for that smile from our clients that says “WOW this is better than I ever imagined”, we always aim to exceed your expectations, and try to make every job unique. We are a high quality, professional landscape company with a commitment to professionalism and excellence in the delivery of services and performance. Take a look at our past projects to help you imagine what we can do for you. 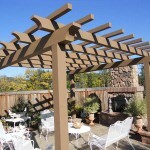 We build custom arbors, pergolas, and trellises. Nor Cal Landscape use two types of materials for our customers. We hand select redwood and apply a natural transparent stain, or we can paint and primer Douglas Fur. 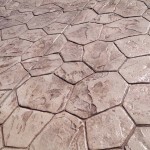 We do all types of decorative concrete, from stamped concrete, textured concrete with smooth bands, to colored concrete with a salt finish or even exposed aggregate. We strive to create unique outdoor living spaces using natural materials, to blend with the surrounding environments. 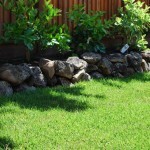 We have been creating custom landscapes in Gilroy and Morgan Hill area for over 20 years. We can help, from design to completion. 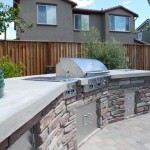 If you’re looking for an outdoor kitchen, you’ve come to the right place. We pour concrete countertops, and even custom granite tops, built specifically to fit the unique design for your BBQ, grill island or oututdoor kitchen. 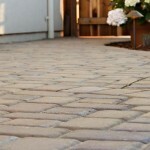 Paver patios and walks are a specialty for us at Nor Cal Landscape. We work with Belguard, Calstone as well as many other manufactures. We also install paver driveways, paver walks and paver patios. 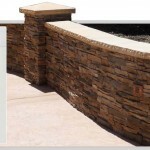 We build custom seat walls and retaining walls from the ground up. We can face with stone, cover a block wall with stucco, or even build paver block walls.